Residential, Commercial & New Construction Repaints, Interior, Exterior. 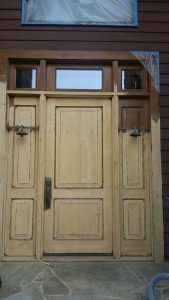 In addition to standard interior painting services Miracles Painting also offers a range of services for refinishing stained and natural woodwork, inside your home. We will match the the stain and and touchup all the dents and scratches, then apply the needed finish coats. Ask us about refinishing your existing cabinets. We can touch up the stain and apply a new finish coat to liven up your worn out cabinetry, or we can convert them to a painted cabinet. All for a fraction of the time and cost of replacement. 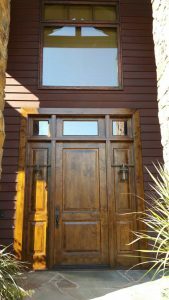 We use the same thorough professional standards for woodwork and cabinetry that we do for our exterior and interior services. We make certain to thoroughly mask off anything which might be exposed to paint because we care about our customers and their property. We use high quality materials and the results will speak for themselves. We’ll cover all the flooring and furnishings and if not painting the walls, we’ll mask the walls to protect them from overspray. We will remove all doors, drawers, and hardware, clean where needed, then apply 2 coats of quality primer and re-sand. Then apply 2 coats of quality finish. Miracles Painting also handles staircases, bannisters, and complex woodwork projects.